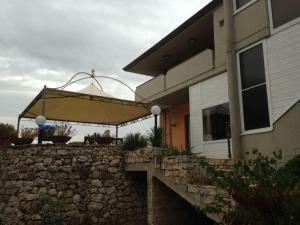 Villa Venus price per day from € 140 . Ai Sassi di Pietro price per day from € 90 Ai Sassi di Pietro offers self-catering accommodation located in Matera. There is a kitchenette with a dishwasher and a refrigerator. 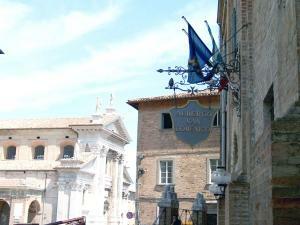 Corte San Pietro price per day from € 225 . 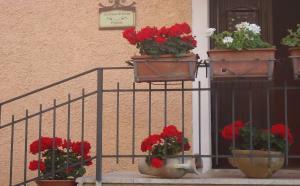 B&B Palazzo Sottile Meninni price per day from € 140 . Torre Fiore Hotel Masseria Torre Fiore Masseria is an ancient fort outside Pisticci, 18 km from the Ionian Sea. 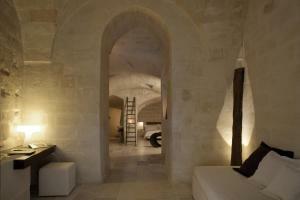 The Masseria's spacious rooms feature flat-screen TV, iPod docking station, and marble bathroom with 2-person showers. La Casa Di Enza price per day from € 50 La Casa Di Enza is located in Pignola, 6 km from Lake Pantano and a 15-minute drive from Potenza. The property offers free parking, and is an 80-minute drive from Matera..
Agriturismo Biologico Sant'Andrea price per day from € 40 . Villa Genny price per day from € 60 Offering an outdoor summer pool and free bikes, Villa Genny is located only 2 km outside Altamura. Each room here is classically furnished, and has a flat-screen TV, a minibar and a private bathroom with hairdryer and free toiletries. La Dimora di Federico price per day from € 34 . Terrazza Sui Sassi price per day from € 60 Set in Matera’s old district of the Sassi, Terrazza Sui Sassi is a 2-minute walk from Matera Train Station. The air-conditioned rooms come with a flat-screen TV. The bus stop to other areas of Matera is 200 metres from Terrazza Sui Sassi. 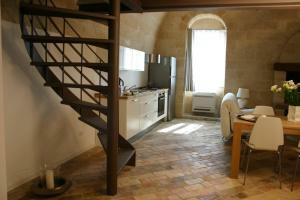 Palazzo Degli Abati price per day from € 109 .